I guess adults have been saying this about teenagers since 1948, but regardless… “smellgood lotion” was too amazing to pass up. I’m the last person who can criticize another person’s parenting techniques… but really? Telling your teenage son you’re working on your “mother I’d like to f**k” status is probably not a good idea. 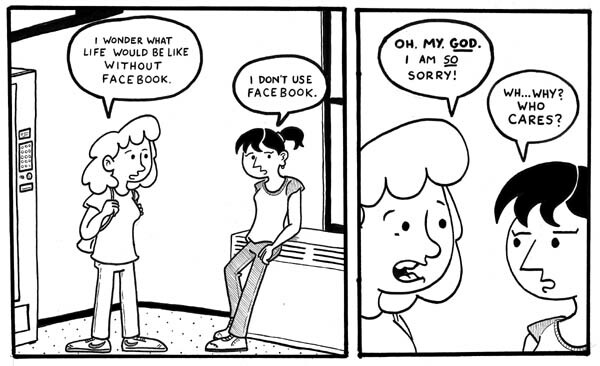 overheard in the halls: no facebook? I thank my lucky stars at least once a week that Facebook didn’t exist when I was in high school. I was barely ready to deal with real life drama… if I had to deal with Internet drama? Forget it. Folks, I have FIVE DAYS left and a little over $100 dollars to go on this DonorsChoose project. If you can help, it would be appreciated. 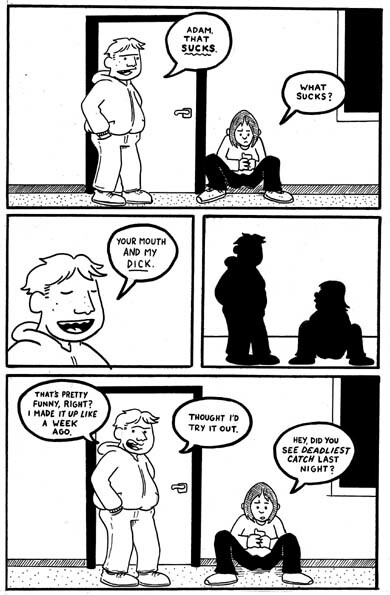 Not all of these “overheard in the halls” strips are going to be full of cussing… but anyone who’s ever walked around a high school will tell you, there is plenty of cussin’ going on. I usually leave that out of my strip, but for these? It’s somewhat appropriate. 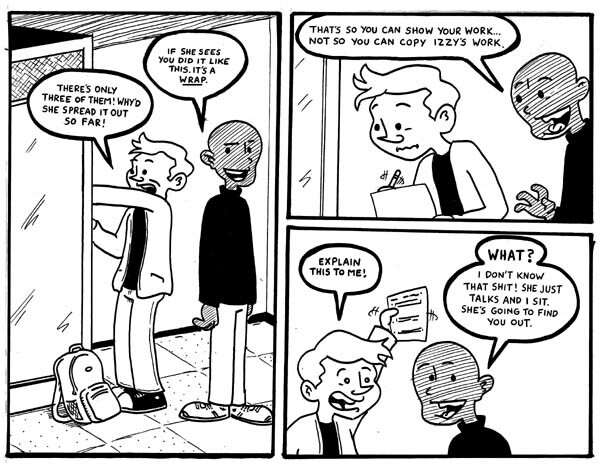 Every Monday for the next few weeks, I’m going to be posting a comic featuring conversations I’ve overheard at school. I’ve done a few of these over the years; I thought it would be a fun theme for the summer. You are currently browsing the archives for the overheard in the halls category.